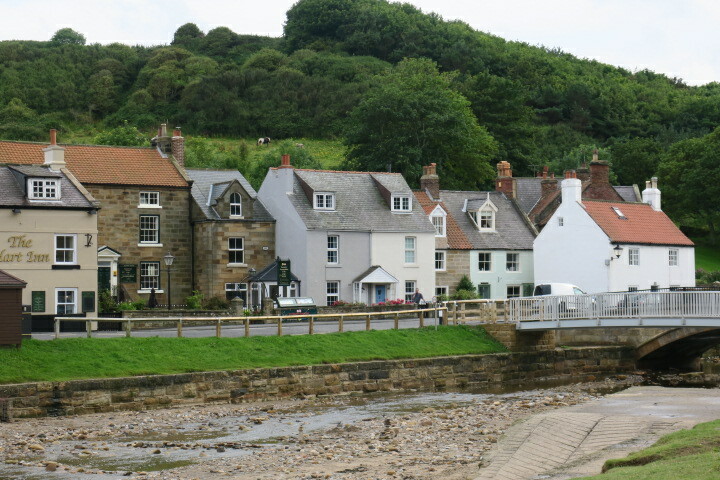 Having explored all the nooks and crannies of Whitby we found ourselves back there the very next day. Just a brief stop as we were in town to catch the steam train. 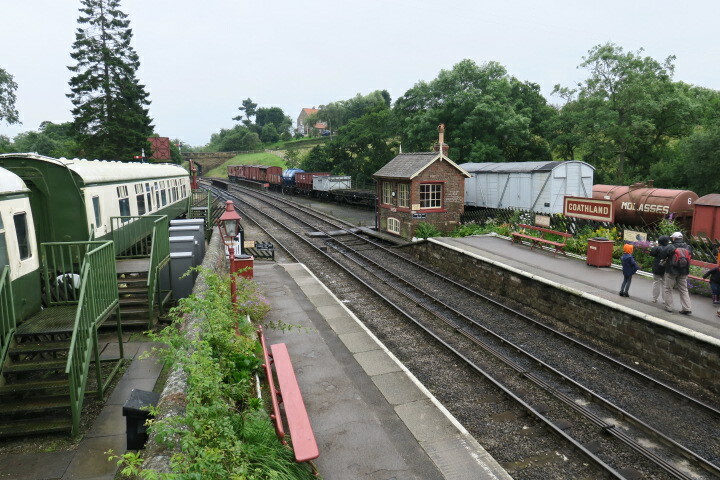 This heritage railway run by volunteers takes you through 24 miles of Yorkshire countryside to Pickering. We easily located the quaint ticket office and joined a rather lengthy queue to buy our tickets. I thought I misheard how much the people in front were charged but no – £62 for the two of us was a bit of a shock to the system but we stumped up our cash and got the tickets. Plenty of seats, plenty of carriages we were spoilt for choice when we boarded the train. 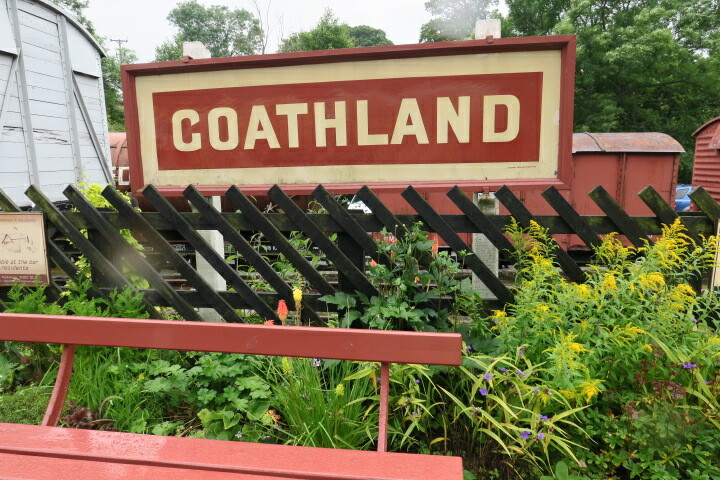 An old diesel engine took us to Goathland and from then on it was a steam train. Our conductor was accompanied by two lovely polite young boys who were selling souvenir books. We didn’t really want one but couldn’t say no to these friendly and earnest young gents. 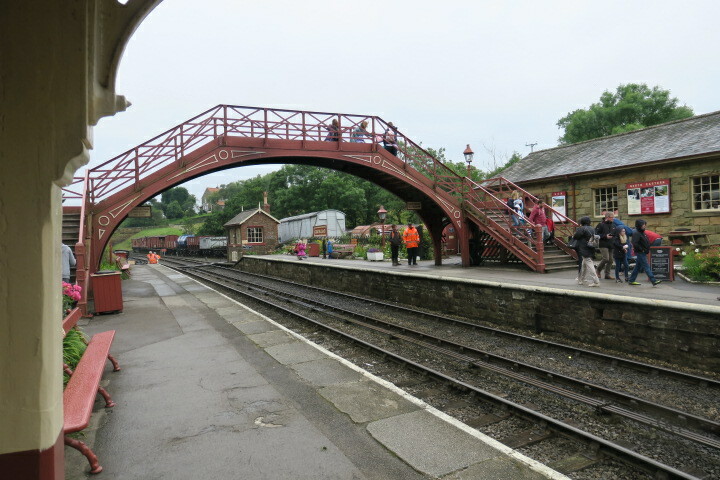 They were spending a week volunteering on the railway, later we saw loads of other youngsters doing the same thing. They spend each day on a different activity – selling books, painting and maintaining the trains, working in the cafe etc.. 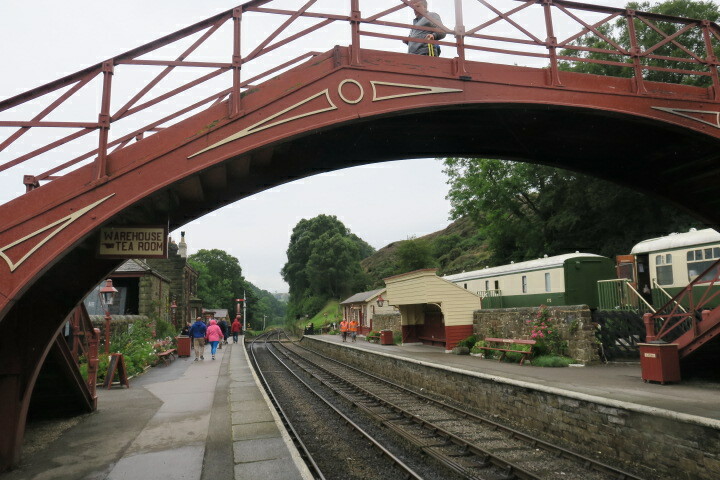 Arriving in Goathland we instantly felt transported back in time thanks to its lovely old fashioned station and platform area. Apparently this place was Hogsmeade in the first Harry Potter movie. 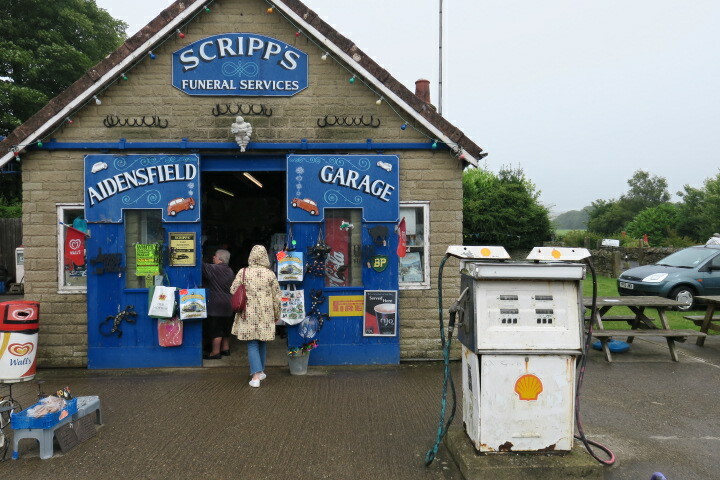 There is a little souvenir shop at the end of the platform capitalising on the connection. Unfortunately getting off the train coincided with the heavens opening and the rain pounding down. Rain featured a lot on this train journey. 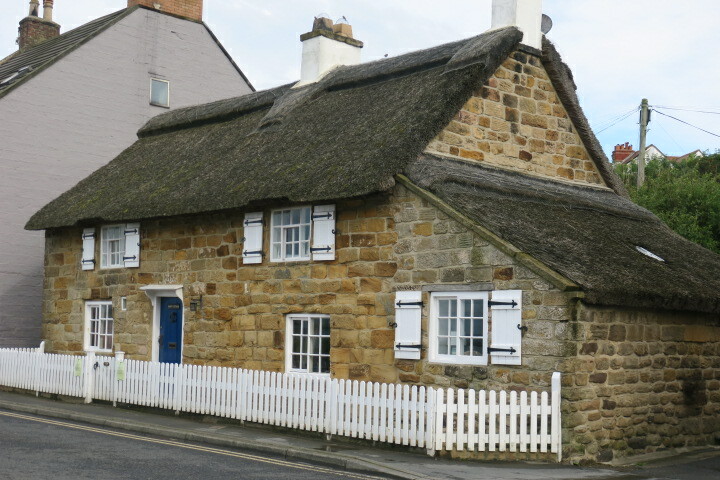 Undeterred we walked the short distance into the little village of Goathland. Nothing much to see really on a wet and windy day – a bit of blue sky and sunshine would have made things a whole lot better. We abandoned our original plan to hike to a waterfall and just looked around the village. 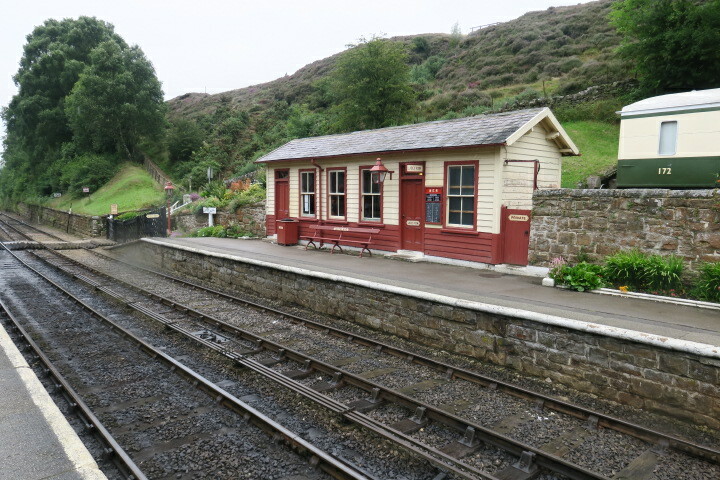 This was the setting for a TV series from years ago – Heartbeat. They still make the most of this connection even though the programe is long gone. 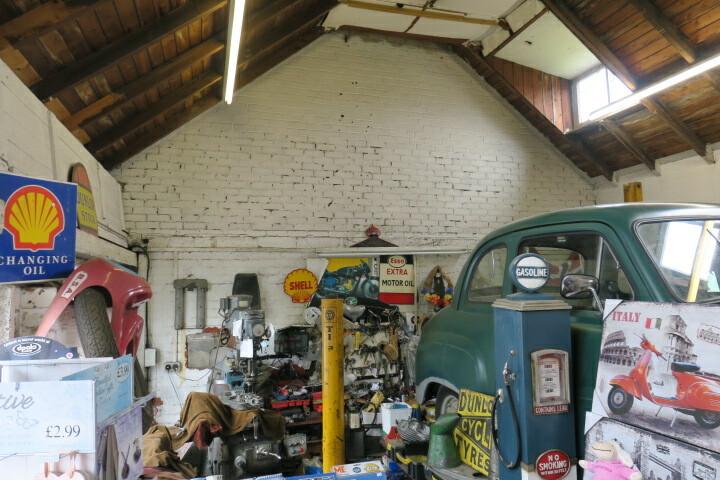 We found a garage stuffed with Heartbeat souvenirs, a couple of old cars in the village and two more touristy shops. We dawdled as long as we could then made our way back to the station to catch the next train. Soaked through and shivering we decided to ride all the way to Pickering. 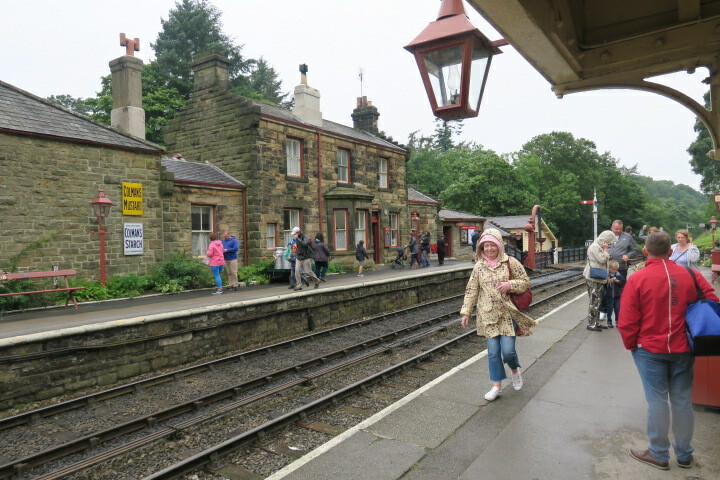 One hour later we arrived in the most beautiful station – 1930’s themed, so atmospheric and with a rather nice looking tea room. Our plan was to walk around the town and check out the castle. Peeking outside the rain had taken on monsoon like qualities, we quickly changed our minds. 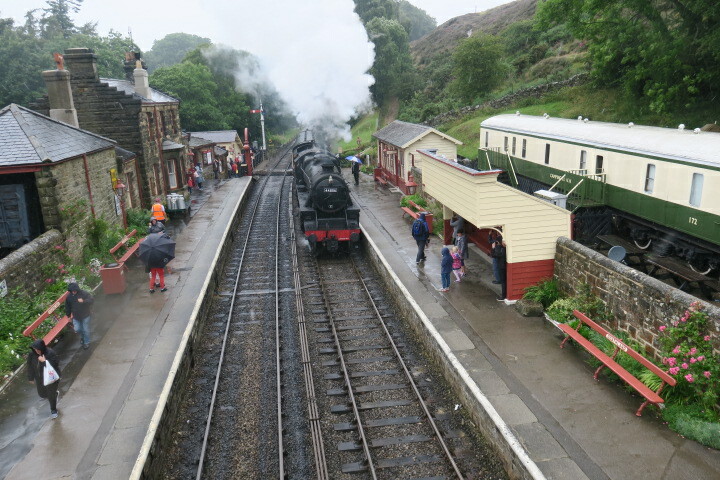 Another soaking was not at all appealing so we jumped back on the train and stayed there all the way to Whitby. A two hour ride back, I have to confess to snoozing a little and we did joke that a 3 hour journey in a different direction might have taken us somewhere warm and sunny. Amazingly the sun did poke out from behind those clouds when we stepped off in Whitby so I couldn’t resist another walk around the old town. 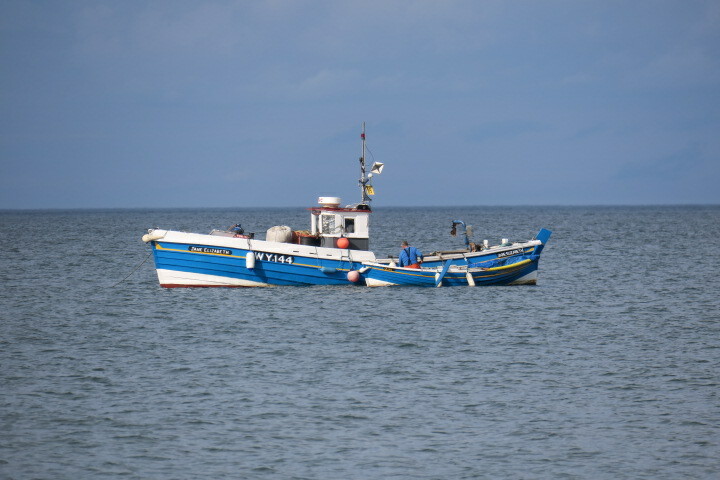 We stopped in Sandsend on the journey back to Staithes. 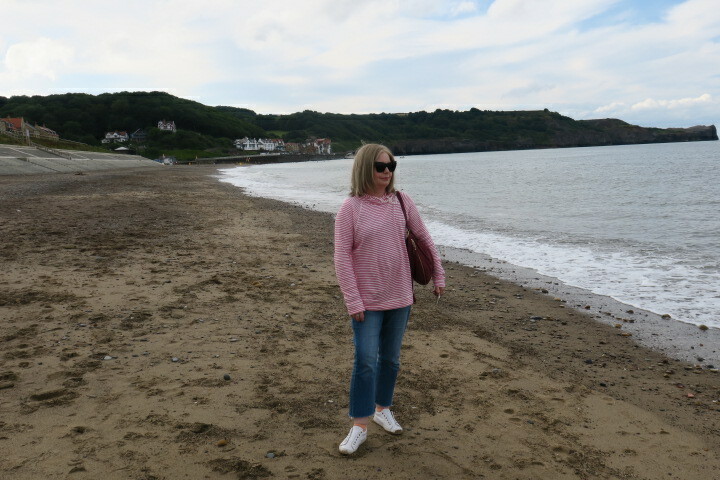 Having passed through this tiny little place several times (always in the rain), we seized the chance to walk on the beach in blue skies and (a little bit of) sunshine. Quite the contrast to the hustle and bustle of Whitby, this place is sleepy and very laid back. 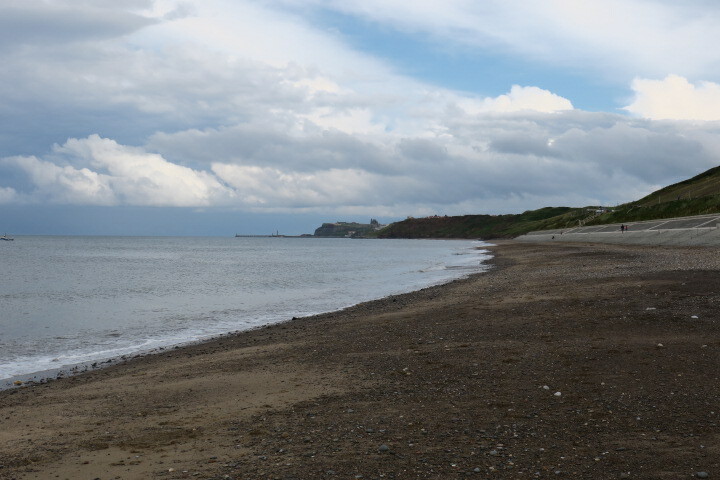 We walked along the sandy beach, watched the waves and even managed to spy the distinctive outline of Whiby Abbey from the beach. A good end to a rather soggy day. That train ride and the area look so charming. Thank God the weather got better when you reached the beach. All perfect!! It was a lovely day out despite that rain!! We were so glad to see the sun and walk around without lots of layers!! You appreciated it even more then!! That old police looks rather cool. 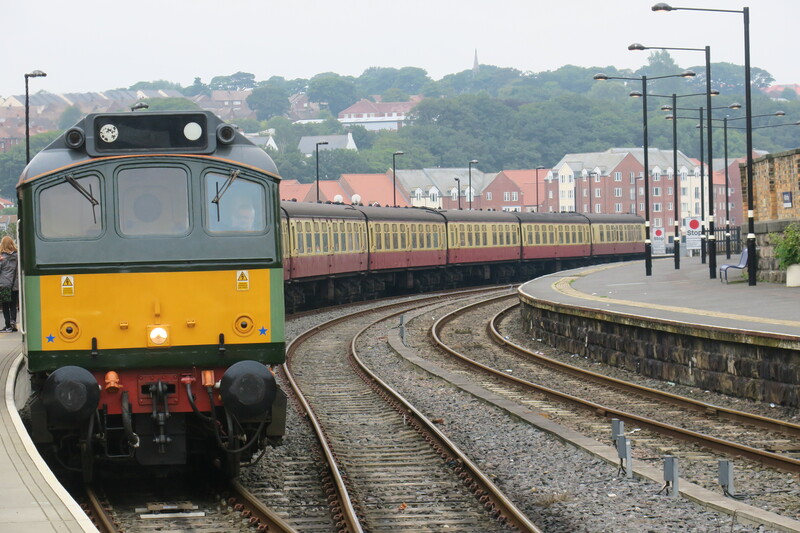 It’s great they keep the old trains running, don’t we all love a nostalgic ride sometime? This one is lovely and so full of atmosphere. We had a good day – despite the rain! Wow, that was one expensive train ride! Those old cars look awfully familiar, did you notice the make? I didn’t notice the make of the cars but my husband thinks they were Ford Anglias. I gasped when they told me the ticket fares – just glad we didn’t have a big family!! My dad had an old Ford Anglia, I always liked the design of the rear window. £62 is a bit expensive, it makes Virgin Train fares seem reasonable! I couldn’t believe the price – it’s a not for profit organisation, just as well, imagine how much it would cost if it wasn’t!! 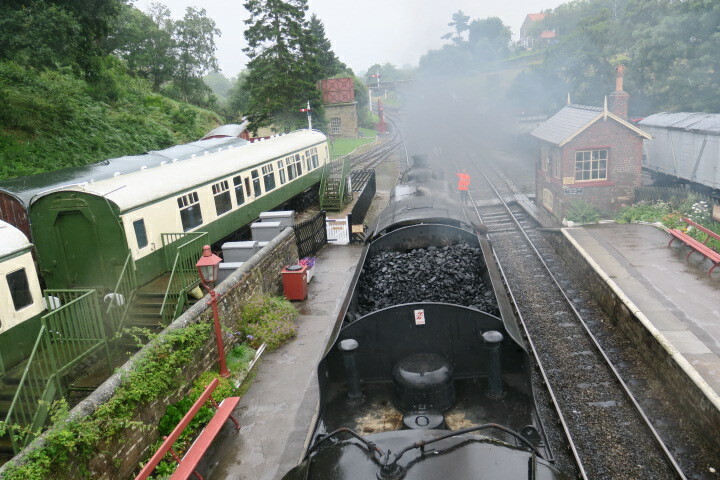 It is nice to go on a steam train but once you are on it you don’t actually see it! Who doesn’t love a train? Your photos are so charming. I felt as if I’d traveled along with you. It really was a lovely, nostalgic day out. Thank you for coming along Mary! I’ve always wanted to take a ride on that on that steam train but haven’t had an opportunity yet. £62 seems extortionate for two tickets, you would think that if they charged less more people would be tempted to use the service and they would still cover their costs. 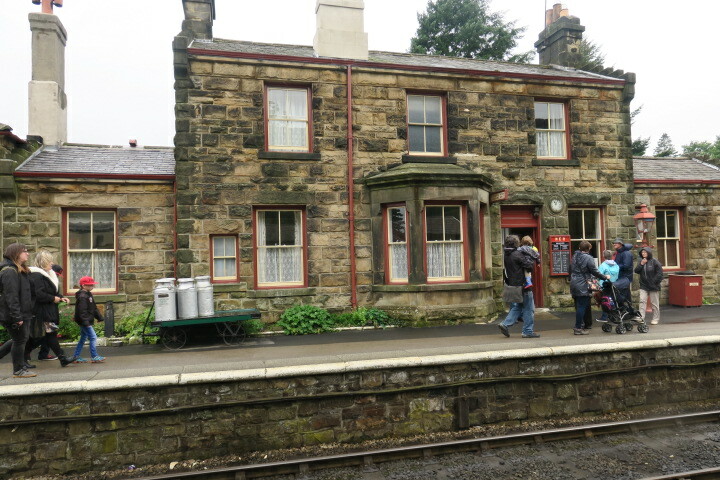 It’s such a shame that it rained so much and you didn’t get a chance to look around Pickering. I visited there many years ago but don’t remember much about it but one of our sons went on a field trip there from school once and stayed a couple of nights. We thought the tickets were extortionate too Marion and definitely agree, cheaper prices would mean more passengers – we joked you could get a flight somewhere sunny for that (although with Ryanair at the moment not too wise!). 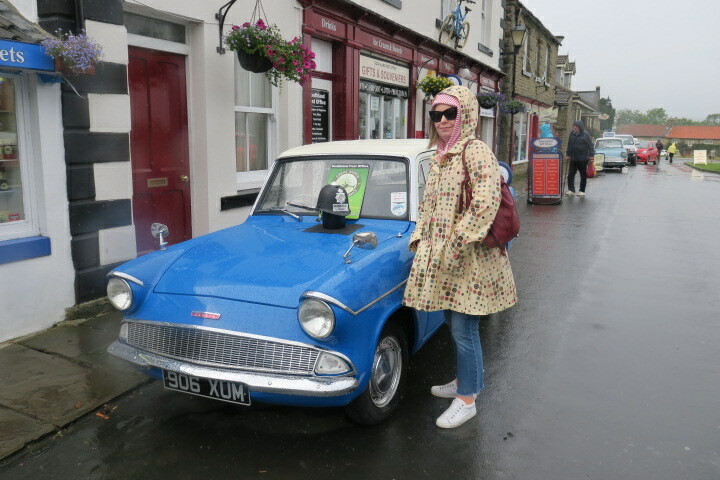 I was looking forward to exploring Pickering but we had just dried off after a soaking in Goathland and didn’t fancy going through that again. 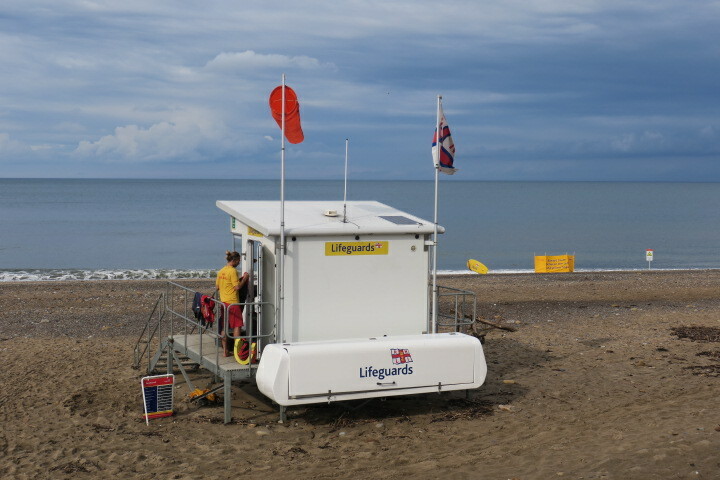 Normally we’re not put off by the weather – this day was different! We did that same train journey back in April 2009 and I remember thinking it was pricey but if the tickets had been as extortionate as that then there is no way we would have bought the tickets for a family of five (as we were then). I am sure more people would travel on the line if they dropped the prices. Still, the train stops at some really charming places. We personally loved the Hogsmeade connection. 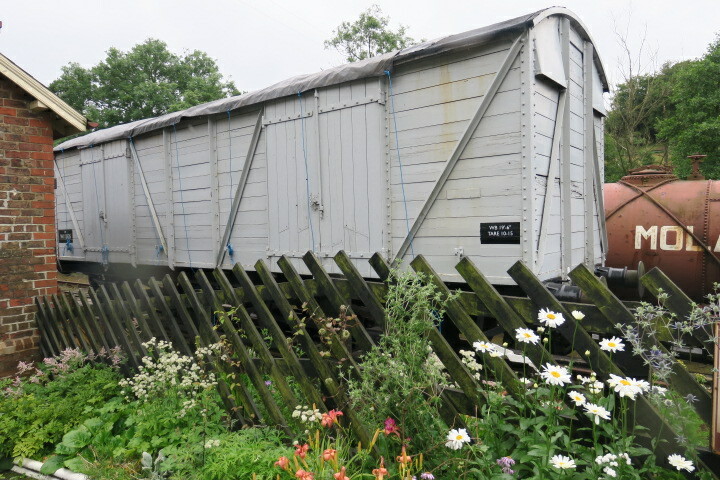 I rode this train years ago as a child with my family – it must have been a lot cheaper then!! I couldn’t believe the price of the tickets, I think had our son been with us or even if I had checked this out in advance we wouldn’t have gone on the train ride. It was a lovely day out but I don’t think those prices represent value for money however you look at it. Thanks to your busy camera you give a good feel for your travels. It was a struggle keeping it dry that day but we did manage to get plenty of pictures! I love that trip! 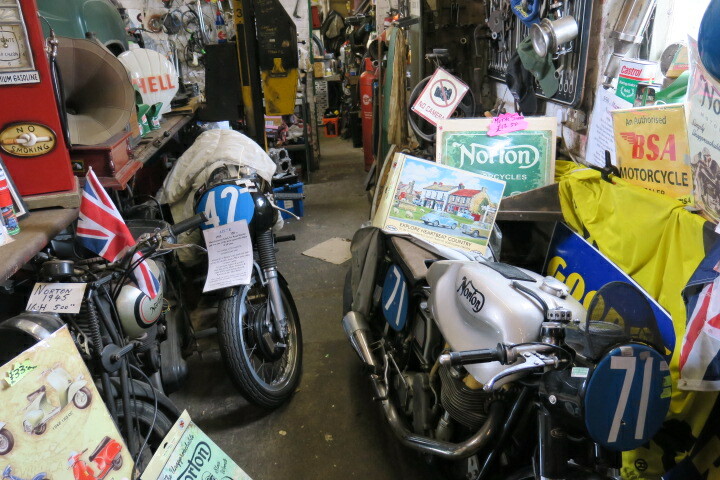 And being brought up in Heartbeat , I was pleased they’d kept all their memorabilia!! I rode it with my parents as a child and remember blazing sunshine!! 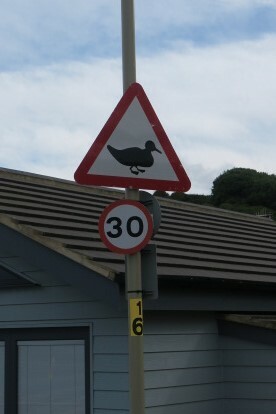 Whether that was really the case I’m not sure but it was definitely not on our recent visit!! Glad you’ve enjoyed coming along too!! We did enjoy our day out despite all that rain Rosemary. The tickets were a bit too expensive I think and we joked that we could have got a cheap flight to somewhere sunny for not much more!! 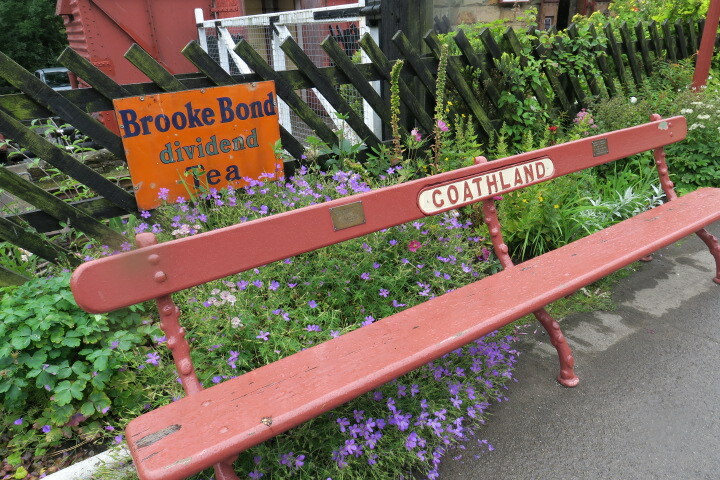 Goathland was great, I would really like to go back sometime in better weather though and enjoy it and explore Pickering properly. We have lots of grey skies and rain here at the moment, definitely autumnal. Hope you’re OK and all goes well with your travel planning and arrangements Rosemary and that it’s not too stressful. Yes Joy you could certainly have got a cheap flight to the Mediterranean for that price! Yes all seems to be in place – due to arrive in the UK next Tuesday. I was sorting out a few things today including clothes – have packed warm stuff as I know I’ll feel the cold even if it’s milder than average plus a good waterproof parka style jacket! Nice to have this week to prepare – it’s going to be an emotional couple of weeks or so. Hope your week is going well despite the grey skies! 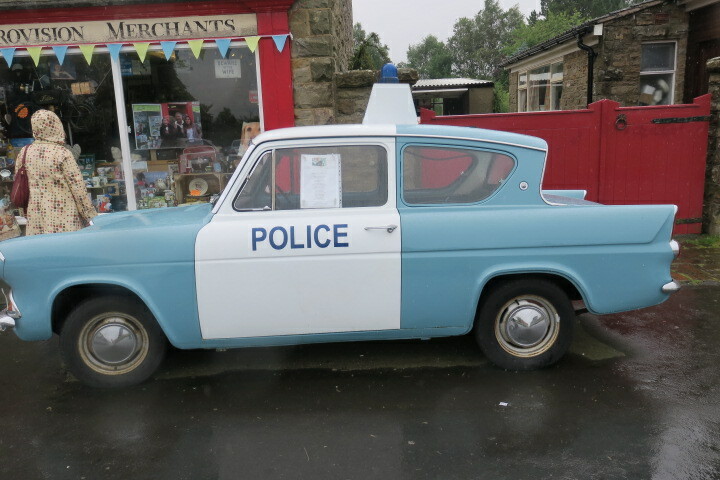 I loved the old police car too – the modern ones are not a patch on these!! Your comment about the car registration made me smile too Anabel, we were talking about this the other day. I can remember two of our family car registrations but have no idea about my current one!! I’m not the only one then! 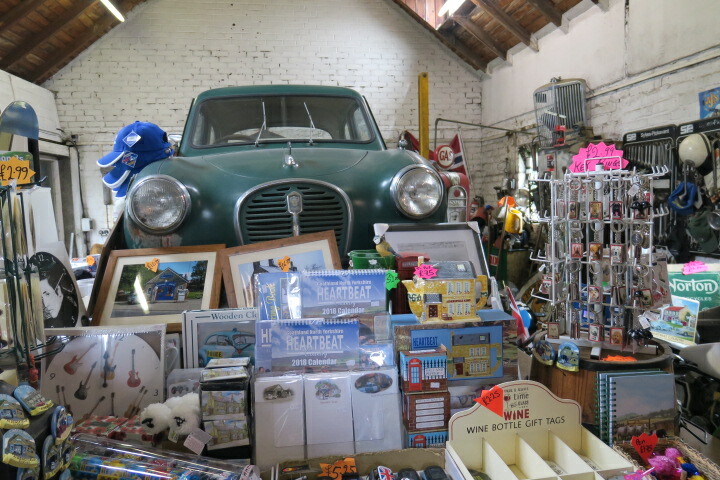 I can remember the next one too – a white Morris Traveller KVK 275D. I can remember some of the numbers and letters in my current car just, to steal a phrase from the late, great Eric Morecambe, not necessarily in the right order. That’s how I did it years ago with my parents. Nice to see it from the other way round too!! This is great George, so quirky and we loved the Harry Potter connection too! That prepare ride and the range look so enchanting. Express gratitude toward God the climate showed signs of improvement when you achieved the shoreline. All great!! Lovely post, gobsmacked by the train fare though! We travel as a family of 5/6 so that would have been quite an outlay for us. Old fashioned fun at distinctly modern day prices. Still, it isn’t something you get to do every day and it looks like it made for a good day out. We were so shocked by how much those tickets cost – if they charged less I’m sure they would get many more passengers. It was fun though, just could have done with a bit of sunshine. Joy, a train ride is so much fun! In spite of the rain, I loved seeing it all through the lens of your camera! We did enjoy this Pam for sure, it was very nostalgic. Ooh, I love steam trains too! Thanks for sharing this delightful travelogue with us, Joy! 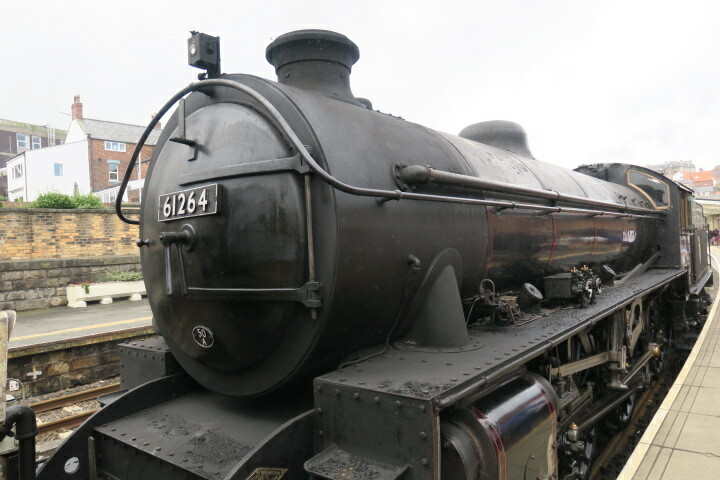 A steam train that stopped at the station that was Hogsmeade – such a fun day out Reggie!! Stayed a week in Pickering many moons ago, probably mid to late 1990s, thoroughly enjoyed it and hope to get back sometime soon. I hope we make it back to Pickering some day!